After two major hiccups (one technical and one mental), we managed to produce a surprisingly lively podcast (albeit a day late). Taking requests from our Facebook page, we talk about how to develop patience in light of the Spiritual Works of Mercy, and how having a purpose for patience makes patience more possible. Lastly, we dive even more deeply into the troublesome nature of 2018 and explore the potential opportunities of midlife, and finding greater purpose for the second half of life. Though our house isn't selling as fast as we'd like, we talk about why this move is important to our family, and how difficult its been to be untethered for so many years. Jennifer shares about the flurry of recent activity around our Rosary Army non-profit, which includes inventory of thousands of Rosaries, leading a workshop, and inducting one of our kids as an official Rosary Army soldier. Greg returned to Pacem in Terris and shares how three days of silence, combined with finishing the book, "The Big Leap" by Gay Hendricks, is leading him down a new pathway of discovery into his zone of genius. Last week our son, Walter, was on the show one last time before moving out and heading south. We give an update on his whereabouts and doings. We finally had a chance for a romantic date night and Jennifer literally tried to take the shirt off the waiter's back. Next, we talk about the delicate balance of work and life, and knowing when to take a break. Which leads to Jennifer kicking Greg out of the house for a few days. That's what this week's pointless game is about. We start off this week's show talking about the significance of 244 episodes and how the last time we met this milestone, it was the end of an important era for us. 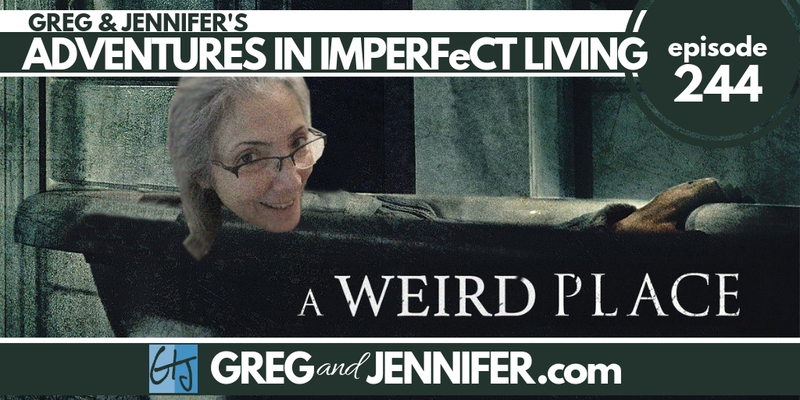 We then talk about the weirdness of being sandwiched between raising our own children, and having to care for an elderly parent who (in some ways) makes us feel like we're raising a toddler again. Albeit, one who is much, much older than us. 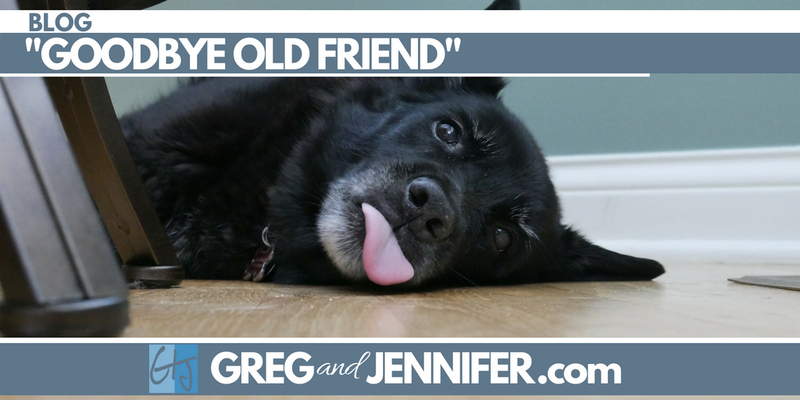 Lastly, in celebration of our 23rd Wedding Anniversary, and in light of our recent revelations about needing more fun in our lives, Greg surprises Jennifer with a game to test her own knowledge of trivia about things that have actually happened to US. 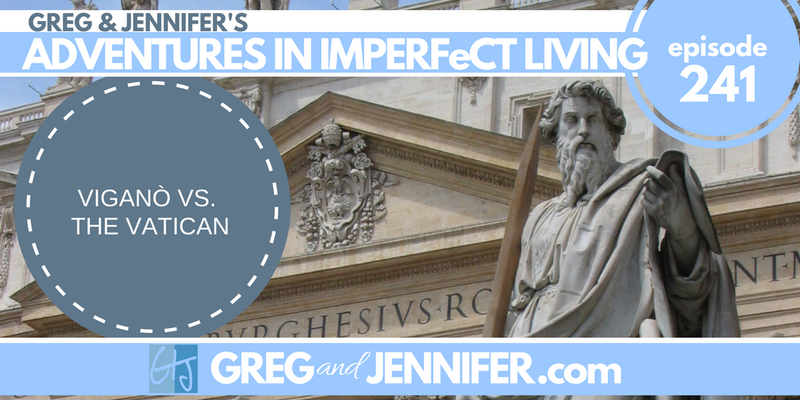 We start this week's show discussing the mysterious way that grace builds upon grace, allowing us to more actively participate in deeper spiritual activities such as fasting, daily Mass, and praying the Rosary. It's not of our own accord that people have done this through generations, but by acting in cooperation with the promptings and strength of the Holy Spirit. After several weeks on a new supplement regimen, Greg shares not only the state of his health after this year's battles, but also more insight to the benefit of confronting those who have directly hurt us, and the need to constantly strive to forgive. And lastly, we talk about the latest updates with our plans to relocate back to Georgia. It's amazing how much can happen in a single week! 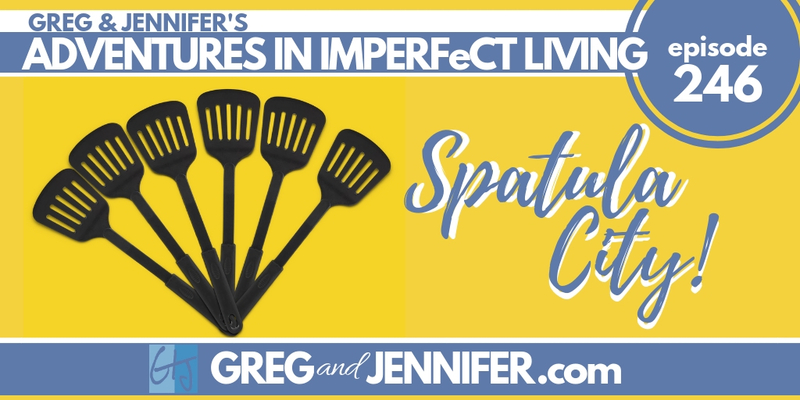 Immediately after recording last week's show, Greg and Jennifer were taken down by nasty late-summer colds (courtesy of our children going back to school). We then discuss what to do when your prayers don't seem to be leading where you expect, and how to give extra THRUST to your prayers. Lastly, we share Walter's big decision to move out and move south, which has propelled us to take enormous risk and do something we've been silently praying about for months. Yes, that's right. We're moving again. 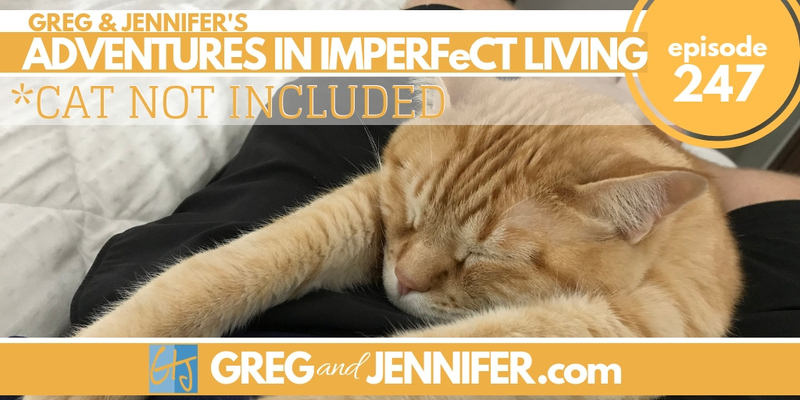 We start off this week's show sharing the incredibly positive response Greg has gotten so far as he begins work on a new huge podcasting project. The more work he does, the more excited we get about this project. 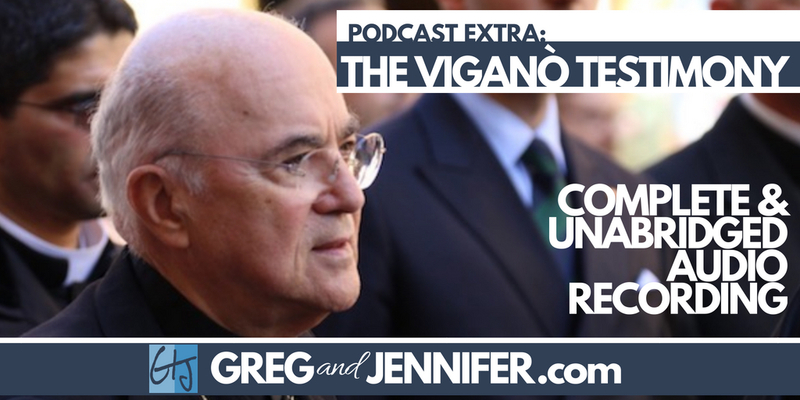 Lastly, we discuss the earthquake-like testimony made public over the weekend by Archbishop Carlo Maria Viganò with implications that have rattled the Catholic Church right up to Pope Francis. Additionally, if you've not yet read the full document (or want to read it again), we have recorded and made available a complete and unabridged audio narration of Viganò's testimony. 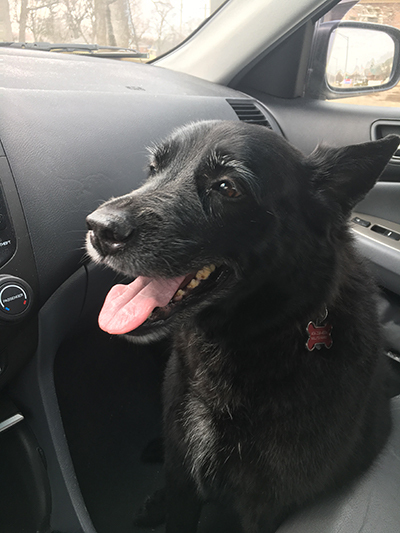 First off, major thanks to you and everyone else who reached out and shared some kindness with our family a couple weeks ago after we had to say goodbye to our dog, Jody. It's been a strange couple of weeks getting used to her not being around. While we know not everyone reading this is an "animal person," we appreciated the prayers and kind words, nevertheless. We never knew how much food we apparently drop on the kitchen floor until Jody was no longer with us! 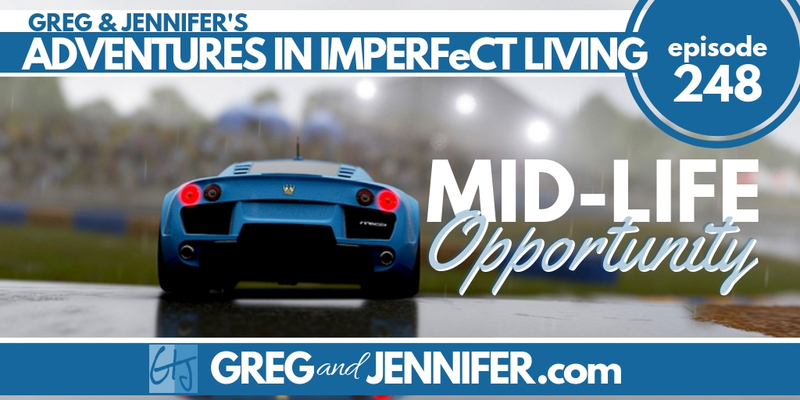 Secondly, as we mentioned on this week's podcast, given his 15 years of media development experience, Greg has started developing a new online course to help others get a podcast up and running quickly and professionally, but still having fun along the way. 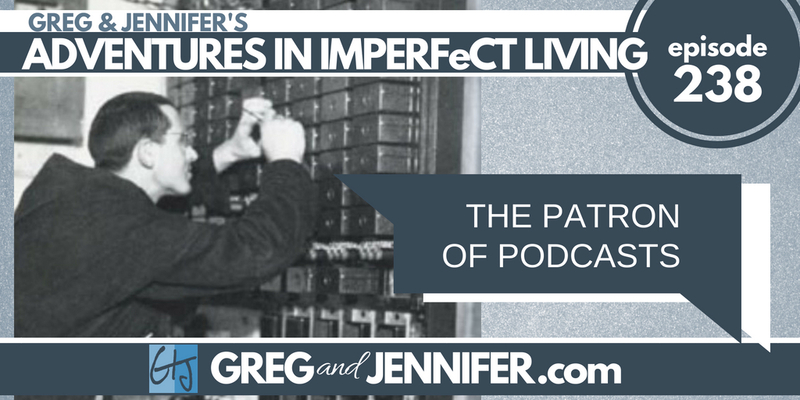 The goal is to include not only the equipment and mechanics of podcasting, but also the many lessons Greg learned from hosting over 4 years of radio with Jennifer on SiriusXM. There are plenty of podcasting courses out there, but not a single one like what Greg is working on. Before getting too deeply into development of the course, he's looking for a small handful of people who'd be willing to share with him their concerns, hopes, and struggles with podcasting.This includes people who have already launched a podcast, as well as people who have been thinking about it for awhile (whether for personal or business use). He's already had several conversations just since mentioning it on our podcast, and the feedback has been INCREDIBLY useful. Interested? If so, let Greg know right away (his email is greg [at] willitsworks [dot] com), or you can contact him directly from our website here. Once he hears from you, if he's still looking for input, he'll send you his calendar so you can pick a time that works for you, and then he'll schedule a 1-on-1 video conversation (should only take about 20-30 minutes) to pick your brain (that phrase has always grossed us out, but you get the picture). It would be of great help! 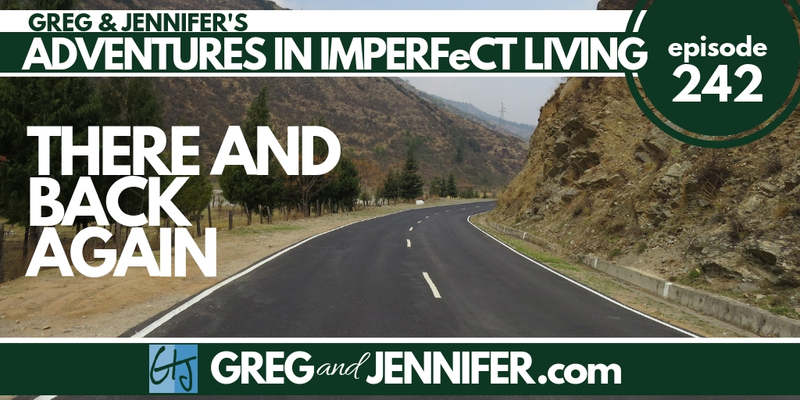 Another area we're starting to explore is personally journeying with people just like you who want a deeper faith life, or perhaps just some objective feedback and guidance in life, relationships, and work. To that end, we are now offering individual spiritual direction and life coaching. 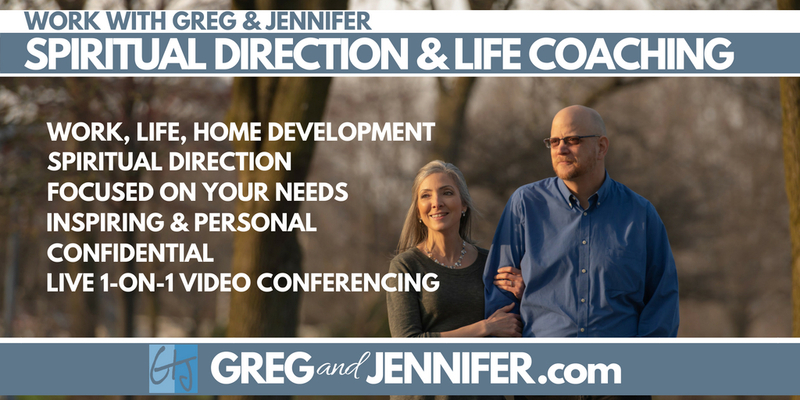 You can meet with either Jennifer or Greg for one hour at a time via live video conferencing. We're "tip-toeing" our way into this as we want to offer this while also working on all the other areas of content development that we know bring value to people's lives. So we're currently working with our first clients while also gauging the overall interest. So if you've been on the search for spiritual direction or life coaching, click here to join our waiting list. or just drop your name and email in the form below. We're currently reviewing applications for new clients, but new openings become available regularly. We'd love to help you experiencing a deeper faith life and more joy. Thanks to our $5 and above co-producers, we're now hosting a monthly live and interactive video chat. Our third session will be on Sunday night, September 9, at 8PM EST. If you haven't yet signed up as a co-producer, you can do so here. For those of you who are already signed up at the $5 or higher level, be sure to mark the date on your calendar and keep an eye on your email for the exclusive link as the date approaches. The response to our free Happiness on Demand Video Course has been fantastic! If you haven't yet had a chance to check it out, make sure to enter your info in the form below and you'll get INSTANT access! Wait. What? 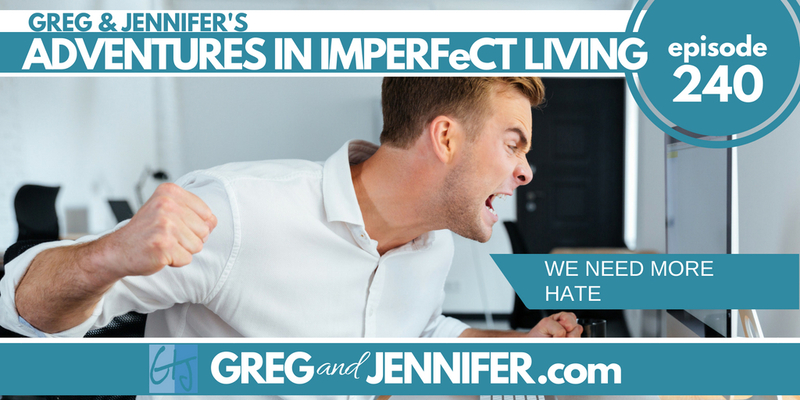 Yeah, we know that sounds confusing, but "We Need More Hate" is the name of this week's podcast episode. In this edition we share the amazing co-producer news we woke up to the other morning. Plus we talk about our daughter Lily's recent attempts at comedy, and wonder if she might genuinely have a talent for this and we also get quite transparent when we share some of our recent failures, how they've affected our family, and our attempt to pivot in yet another new direction. And lastly, in light of last week's Grand Jury report out of Pennsylvania, combined with the ongoing fallout of the McCarrick scandal, we share the pointed response from Bishop Morlino of the Diocese of Madison where he surprisingly calls for more hate in the Church, but not in a way you might think. If you haven't already checked it out, you can do so right here. 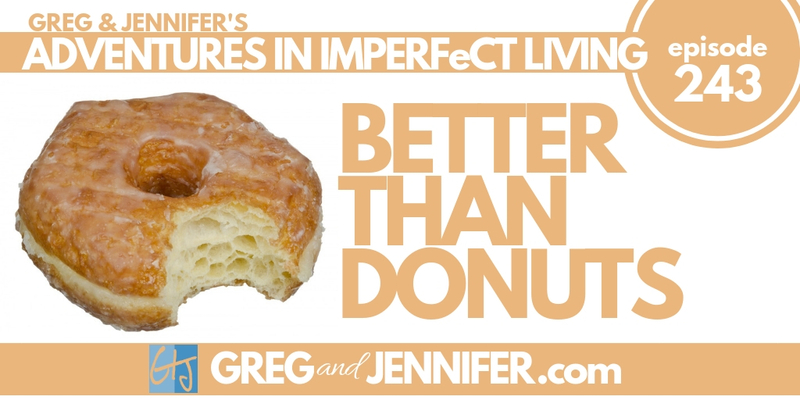 And if you haven't already, be sure to subscribe to Adventures in Imperfect Living and leave a review for it on iTunes or wherever you listen to podcasts! And that's it for this week! Whew. That was a lot! As always, we're so incredibly grateful to have you in our lives. If you think someone else may get something from this email, please feel free to forward it along! We are VERY excited to share the amazing co-producer news we woke up to this morning. It was a huge blessing for us today, for sure! In light of last week's Grand Jury report out of Pennsylvania, combined with the ongoing fallout of the McCarrick scandal, we share the pointed response from Bishop Morlino of the Diocese of Madison where he surprisingly calls for more hate in the Church, but not in a way you might think. Then, in a more lighthearted conversation, we share our daughter Lily's recent attempts at comedy, and wonder if she might genuinely have a talent for this. We also get quite transparent when we share some of our recent failures, how they've affected our family, and our attempt to pivot in yet another new direction. Along those lines, if you're interested in launching a podcasting and would like to help Greg as he prepares for a new course, make sure to drop us an email to schedule a 1-on-1 discussion with him. And lastly, a reminder to make sure you sign up for our FREE Happiness On Demand online course before it's too late! 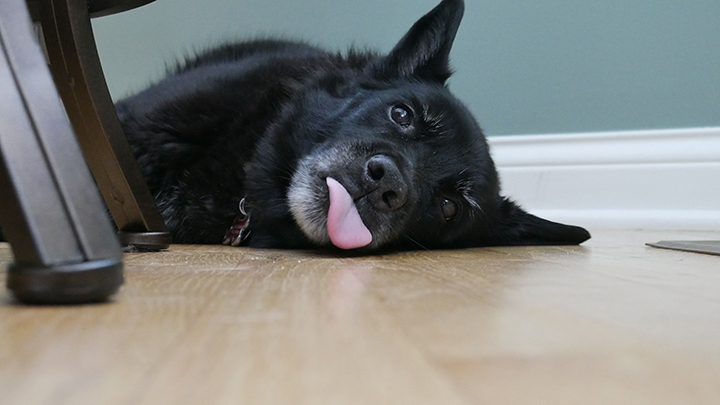 In case you missed this last week, we had a very emotional few days last week as our family dog, Jody, suddenly got sick and made a turn for the worse. As we recorded on his feast day, we share how instrumental St. Maximilian Kolbe was in the ongoing success of Rosary Army and SQPN, and how he continues to inspire us to this day by his love of others, Mary, and the use of technology to evangelize in creative ways. 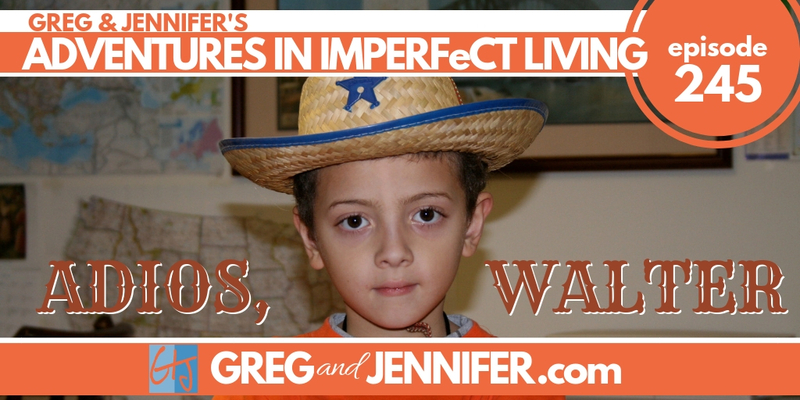 We also discuss the importance of this week's Holy Day of Observation, which coincides with both the first day of school, as well as the third anniversary of Jennifer's dad's passing. And lastly, a reminder to make sure you sign up for our FREE online course before it's too late!